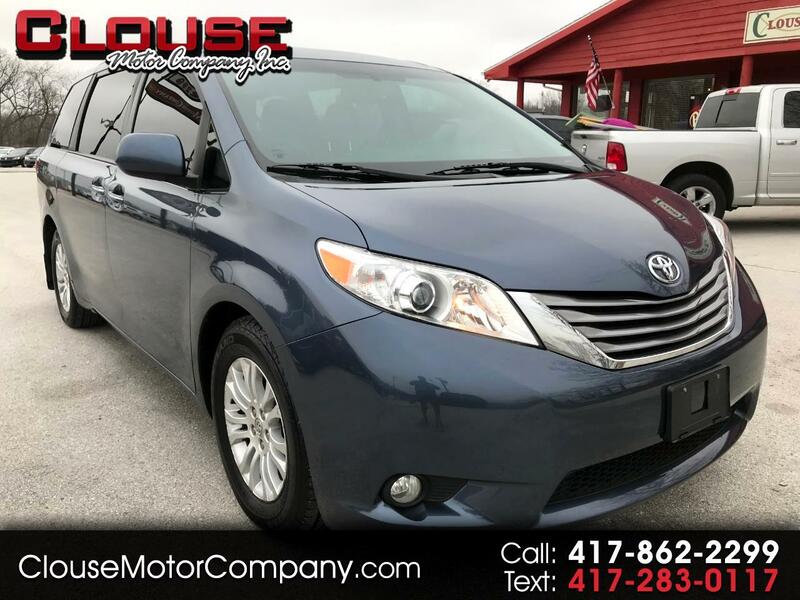 2016 TOYOTA SIENNA XLE PREMIUM 8 PASSENGER FWD - Here is a very nice min-van to choose from! This has a clean gray leather interior with heated seats, backup camera, sunroof, bluetooth, and so much more! These make extremely comfortable family haulers; they're popular for a reason! This one rides and drives out great! Come check it out while you can! For more information on this vehicle or extended warranty information please call 417-862-2299, and watch our website for daily inventory updates for your free vehicle history report! Thanks for looking and God bless! Visit Clouse Motor Company online at www.clousemotorcompany.com to see more pictures of this vehicle or call us at 417-862-2299 today to schedule your test drive. All vehicles are sold AS/IS unless otherwise specified. However in most cases an extended warranty plan is available for an additional charge. We try to keep pricing and descriptions as accurate as possible, but please verify information on any vehicle your inquire about as some description or pricing errors can occur without our knowledge. With that said Clouse Motor Company shall not be held liable for pricing or description errors and reserves the right to correct them at time of inquiry or sales transaction. Thanks for looking and God Bless!